lt;stronggt;RCP395800BGlt;/stronggt;lt;BR/gt;Rubbermaid-Beige Square Containerlt;BR/gt;Prolong the life of your containers. Liners designed to fit Rubbermaid and other manufacturers' containers. Made of one-piece plastic construction for long product life. Prevents leaks and messes from occurring on the floor. 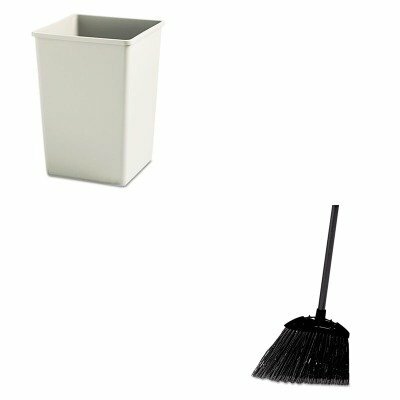 Waste Receptacle Type: Rigid Liner Materials: Plastic Application: General Waste.lt;BR/gt;lt;BR/gt;lt;stronggt;RCP637400BLAlt;/stronggt;lt;BR/gt;Rubbermaid-Beige Square Containerlt;BR/gt;Cut and shaped for easy sweeping in hard-to-reach areas. Flagged, acid-resistant polypropylene fill bristles. Will not stain, discolor or absorb odors. Can be used wet or dry. Overall length 35amp;quot;. Application: Spot Bristle Material: Polypropylene.